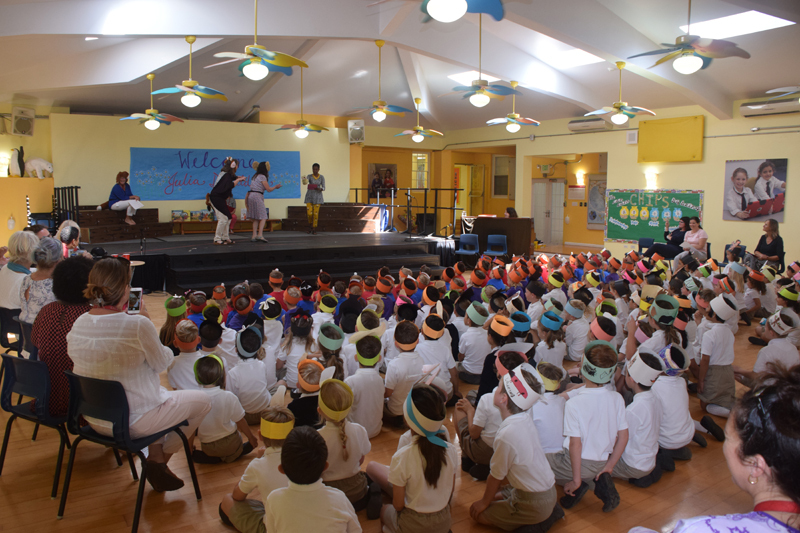 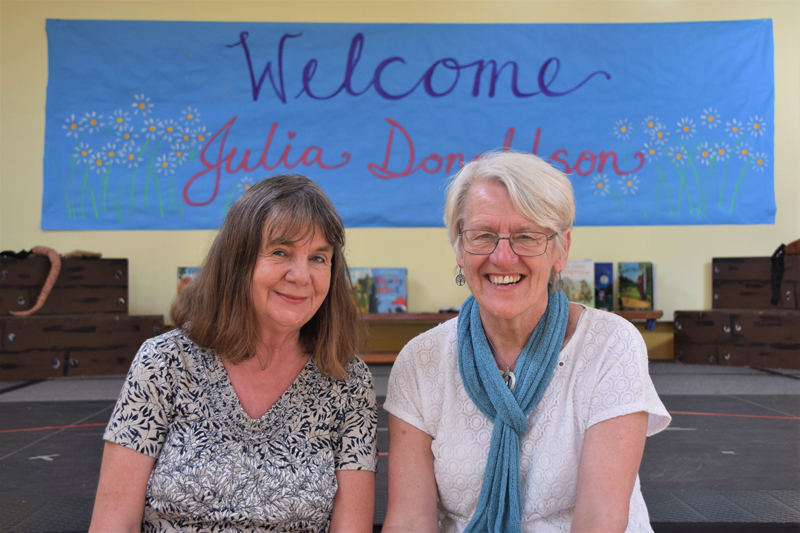 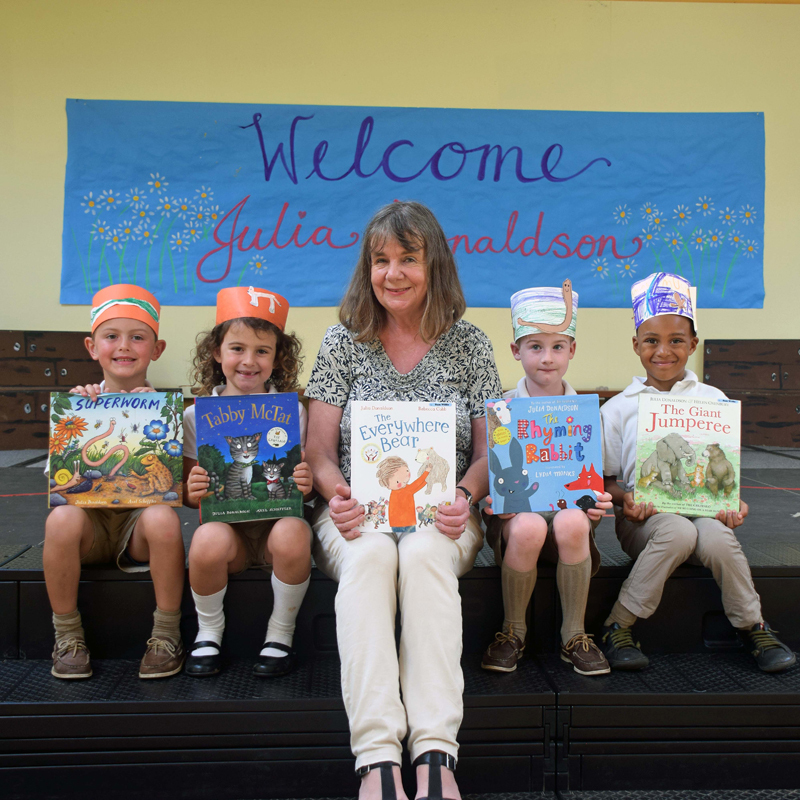 It was a family affair when best-selling children’s author Julia Donaldson visited Saltus Lower Primary Department. 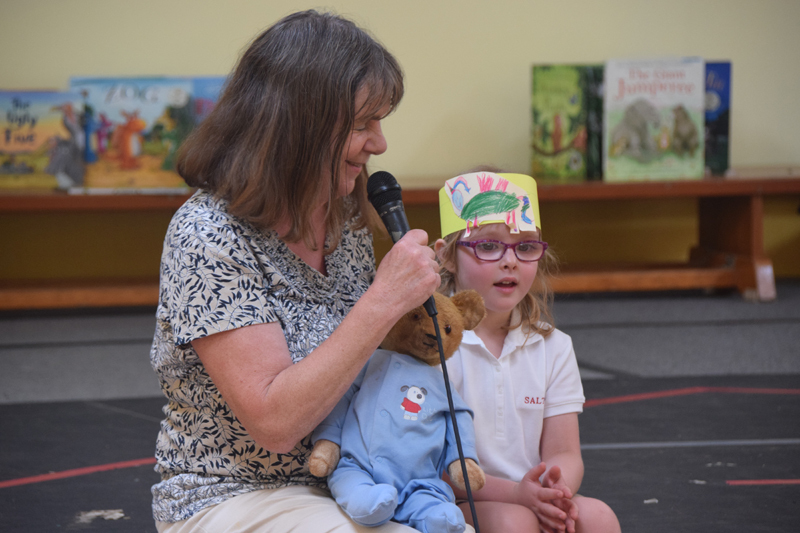 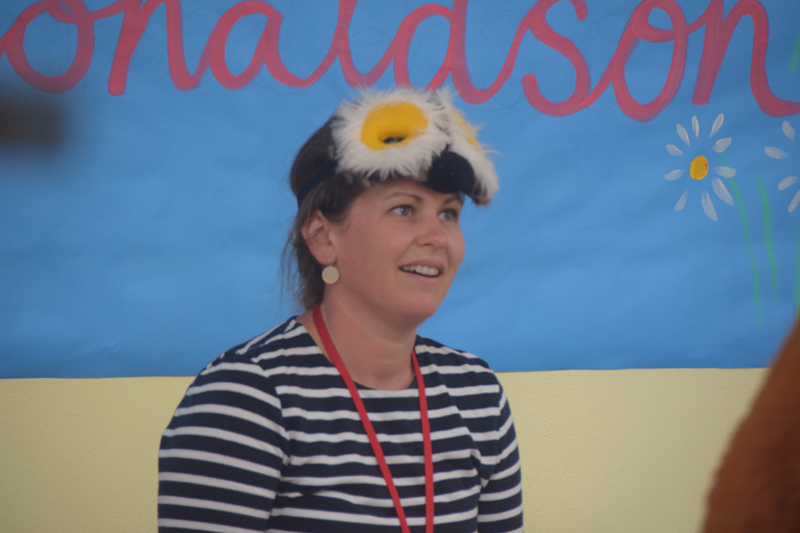 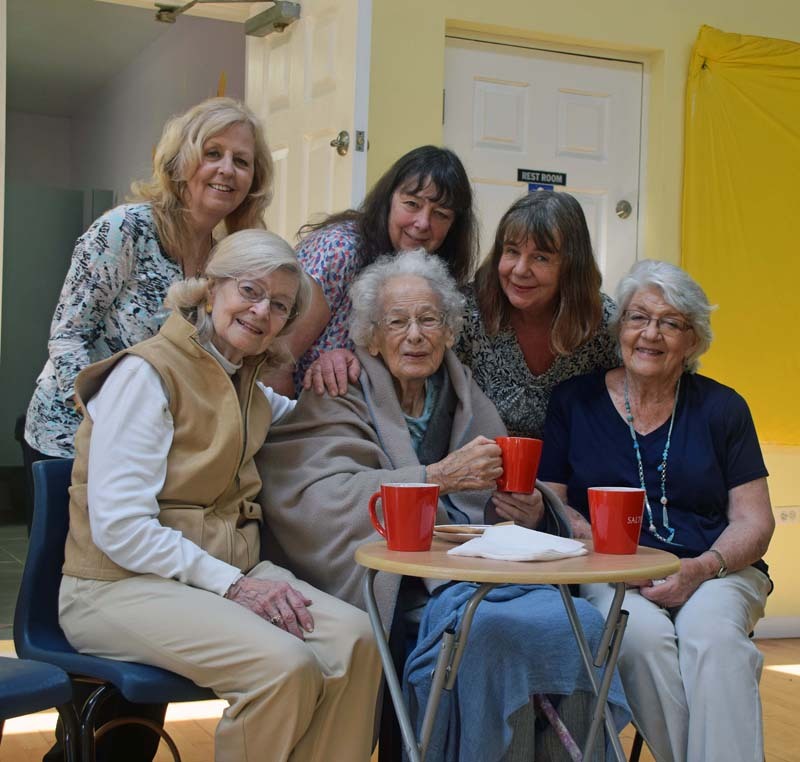 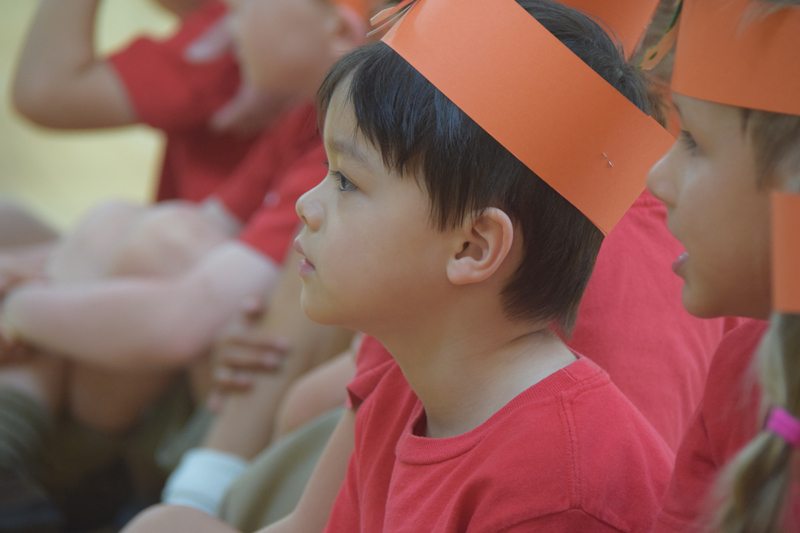 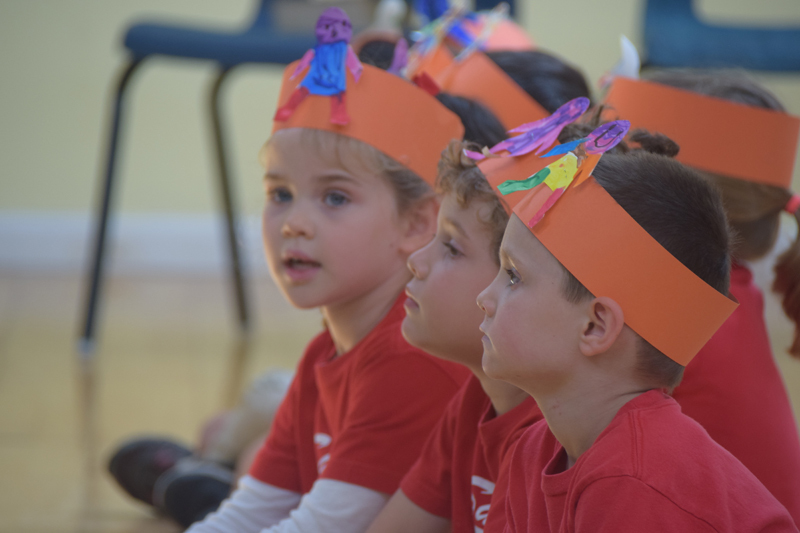 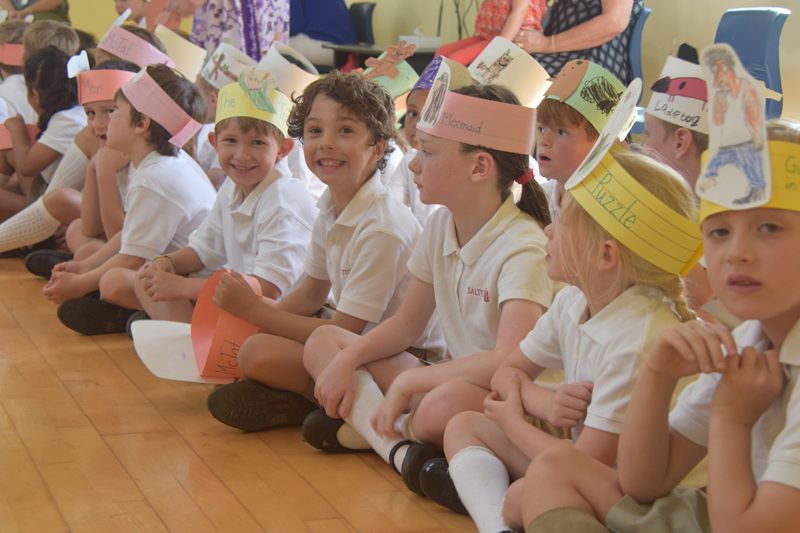 Watching as Ms. Donaldson helped to act out scenes from The Gruffalo for an audience of students was her aunt, Mary Hopkins – a former head teacher at the school. 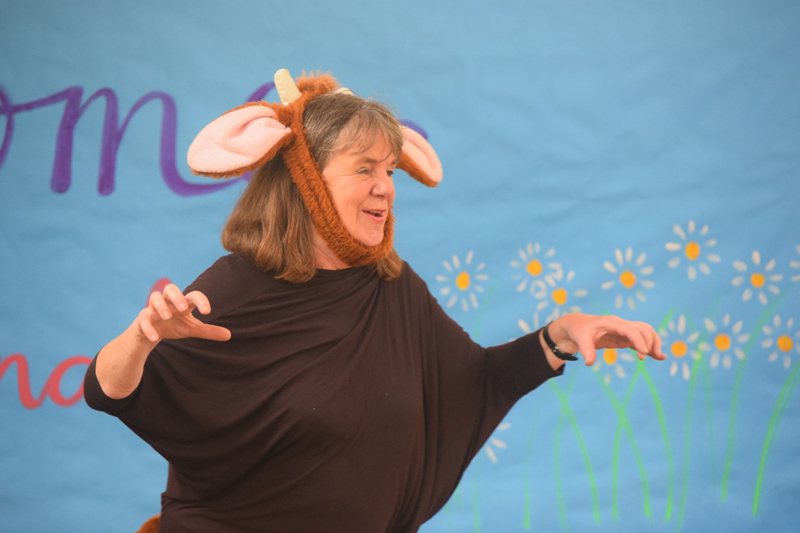 As well as performing alongside teachers in The Gruffalo, Ms. Donaldson also gave a workshop for the S2 students. 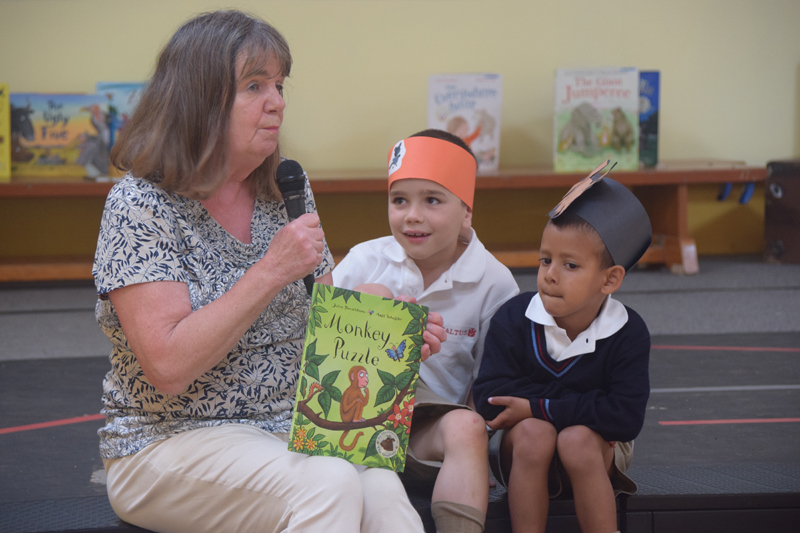 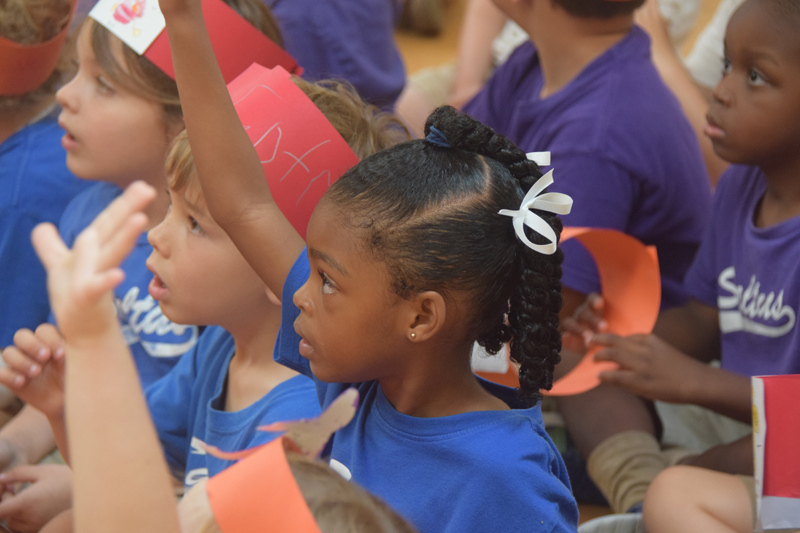 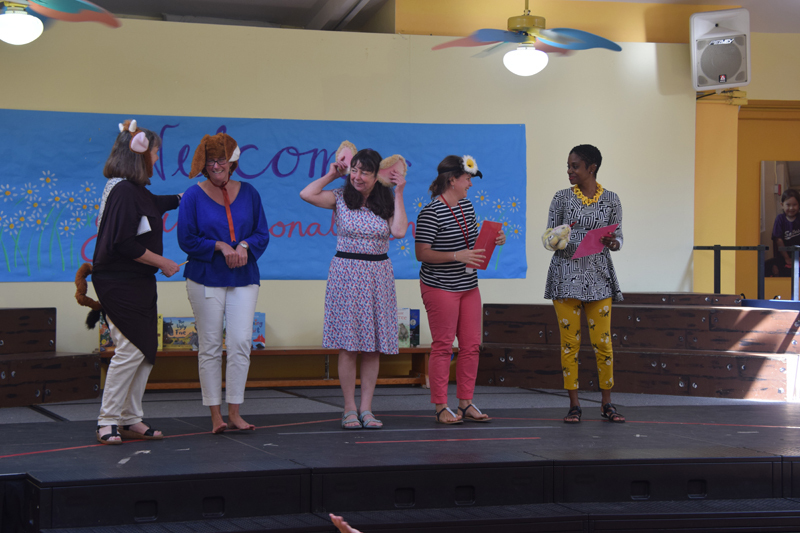 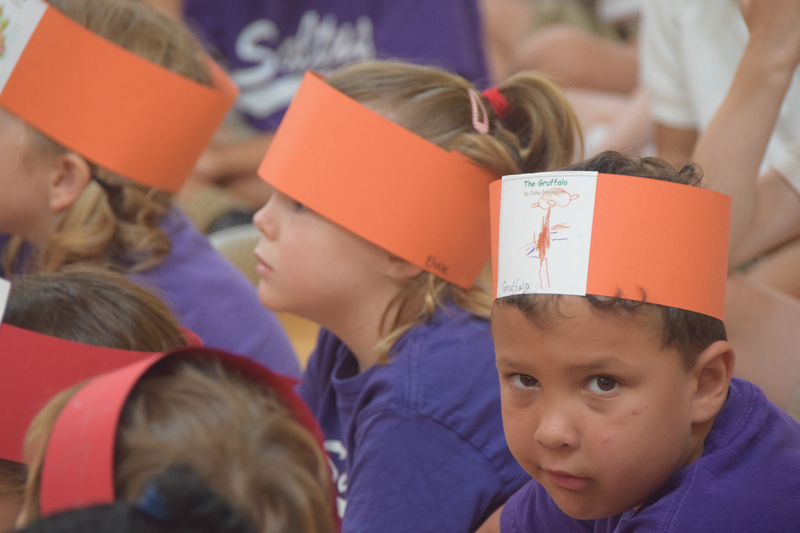 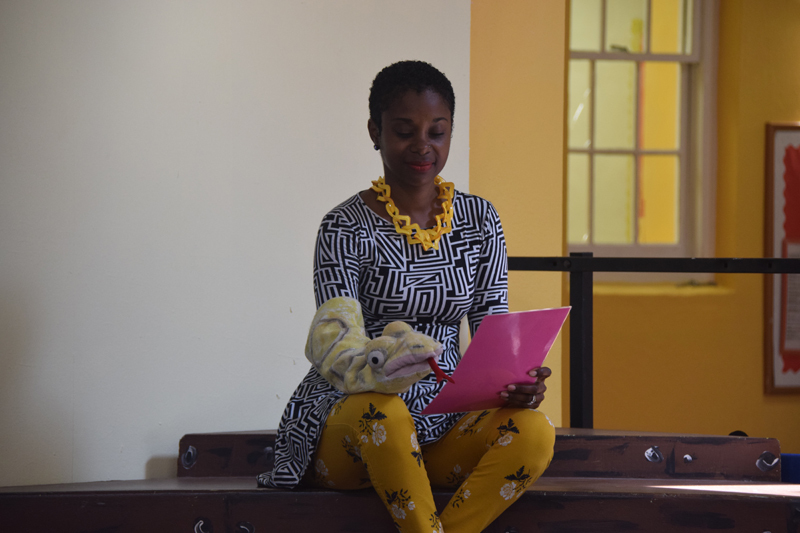 The students participated in acting out two of her books – ‘A Squash and a Squeeze’ and ‘Monkey Puzzle’.